February in Italy means that just about every city on the peninsula is taken over by masks, confetti, colours and lights, creating a very exciting and unique atmosphere: it’s Carnival! It is a party with ancient roots, which in modern times has become a folkloristic rite where tradition and fun work together to bring this enormous celebration to life. Of course the focus of Carnival is the costume or disguise, the mask that allows those who don it to transform themselves into whoever they wish to be – at least for a few days. For planning your future groups experience of the Italian Carnival please find below future dates and some tips to enjoy the atmosphere with PR INCENTIVES! 2020 Carnival – from 20th to 25th February. Events, parades and a special festive atmosphere dominate the calli and piazzas of Venice during Carnival celebrations. Masquerade balls take place in the elegant palazzi, recreating the atmosphere of times gone by. Visitors from Italy and from all over the world flock to the city. One of the most spectacular events of the Venice Carnival is the “Flight of the Angel”, which takes place on Giovedì Grasso. 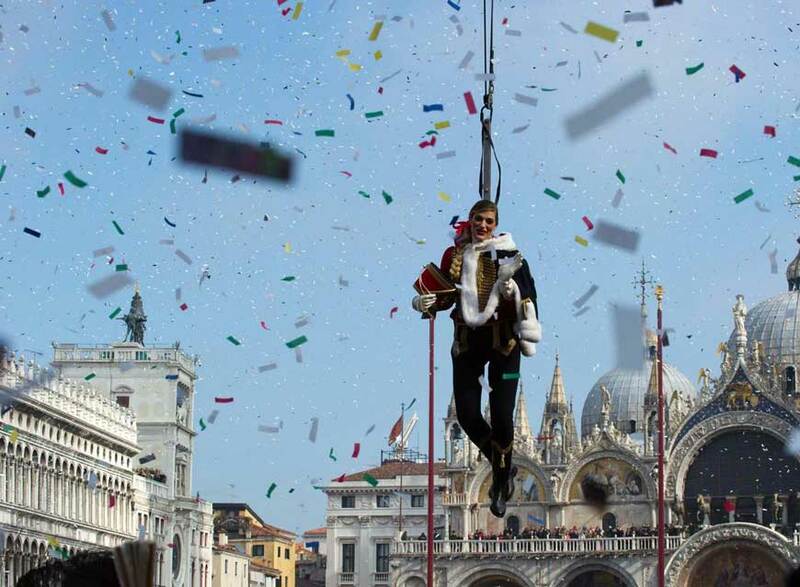 A person suspended in the air, tied to a metal cable, descends from the top of St. Mark’s Tower to the Doge’s Palace. This tradition dates back to the mid-16th century, when a Turk surprised the Venetians with this gesture as a way to salute the Doge. 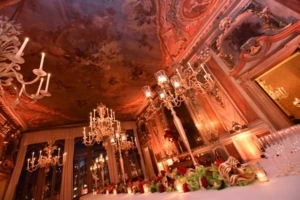 Your group can experience a Masquerade Ball all year around in a prestigious 15th Century Venetian palace, situated on the beautiful Grand Canal. Guests will be invited to wear a Venetian mask and cloak that they will find in their rooms! Casanova will welcome them, charming and smiling , while waiters serve canapés on trays and Venetian rondo music plays in the background. Dinner will be served on the ‘noble’ floors in different halls followed by Masquerade dancing on the ground floor. After dinner… a disco party with an open bar! It was a great success with our guests!!! A few kilometres from the Valley of the Temples you will find Sciacca, a small fishing village with a long tradition of producing colourful pottery. Sciacca hosts the oldest carnival in Sicily and is preparing to celebrate its 116th edition, one of the most famous in southern Italy. Sciacca residents spend months working on distinctive individually decorated floats which can reach heights of up to 12 metres. During the parade, the floats traverse the old town streets with masked dancing groups who involve the public. 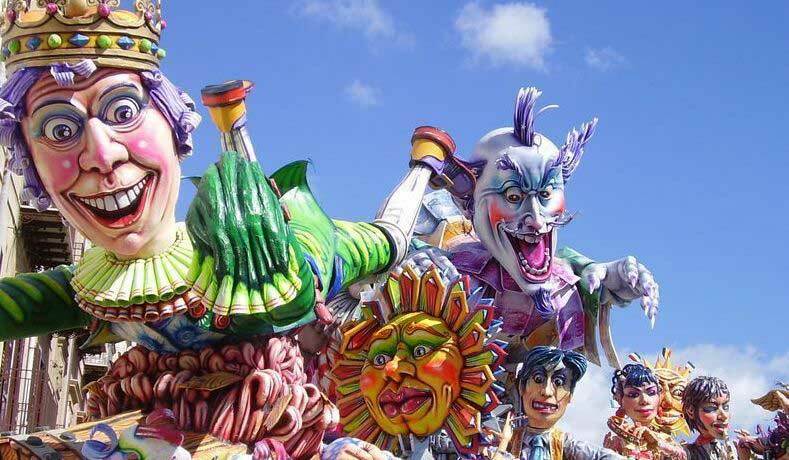 Guests will congregate in the central square of the fishing village to walk among the traditional carnival floats and experience an authentic Sicilian Carnival feast, celebrating popular traditions and sharing food, music and culture with the local community. From food stalls to banquets, each culinary experience has a story of the local person behind it – their passion, their love for the history and tradition of their land and the ancient recipes passed down from generation to generation using only the most authentic ingredients. 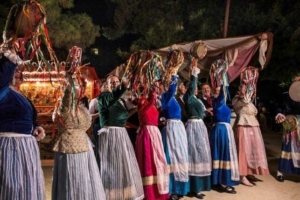 Entertainment arrives in the form of puppet theatre (Pupi Siciliani), traditional maypole, tarantella and other Sicilian dances with folk music from local bands. Previous Christmas with your family, Easter with whoever you want!